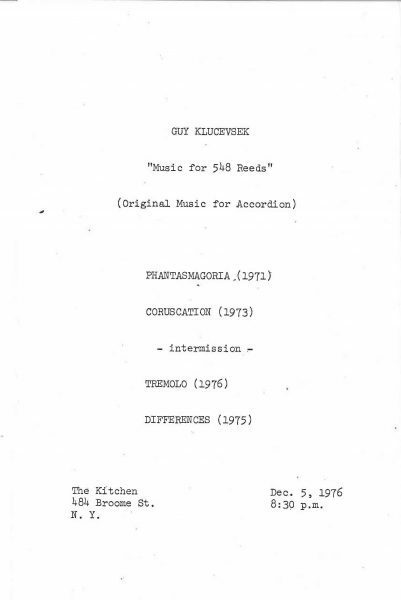 Music for 548 Reeds was a solo musical performance by virtuoso accordionist Guy Klucevsek that took place at The Kitchen in the winter of 1976. 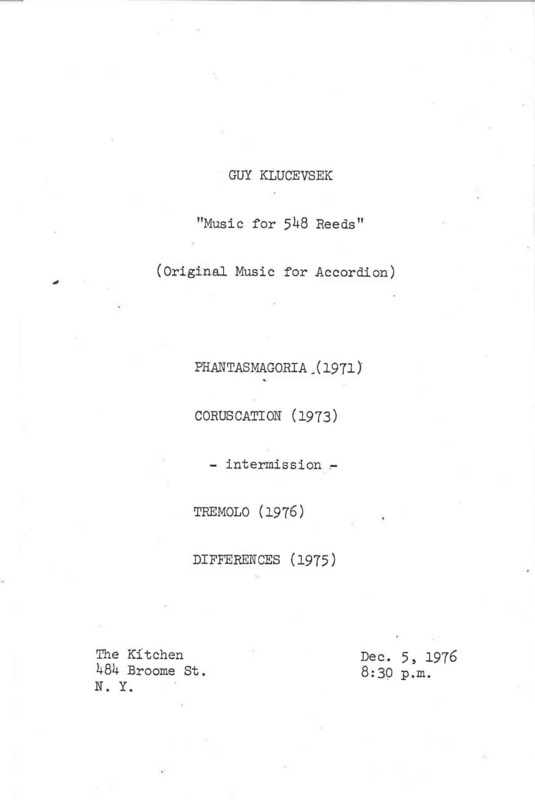 The concert showcased Klucevsek’s acoustical investigation. Phantasmagoria involved playing clusters with both the right and left hands, Coruscation employed a fast repeated figure, Tremolo involved exchanging trills back and forth between hands, and Differences consisted of loud sustained tones and clusters.